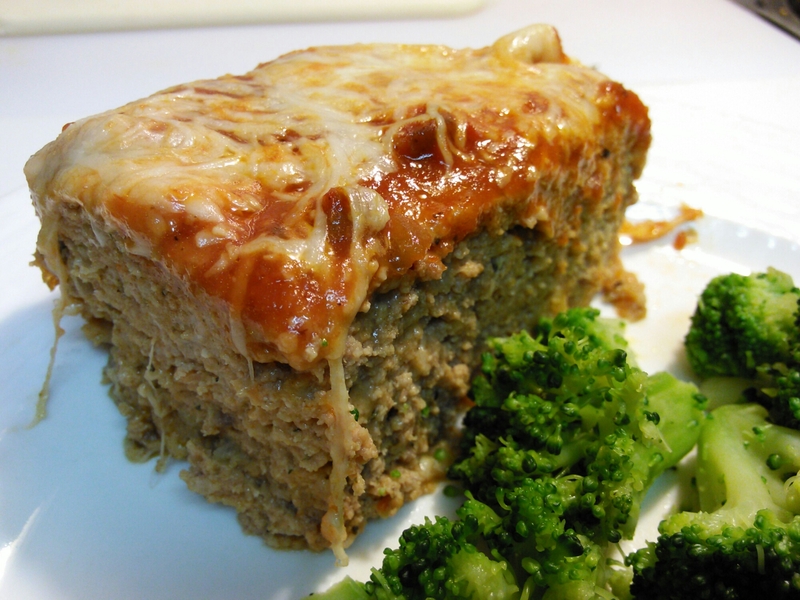 Chicken Parmesan Meatloaf…or just really good meatloaf that doesn’t get hung up on labels. When my four year old niece starting showing signs of jellyness at all the attention that the oh so adorable, yet evil arch nemesis one year old sis was getting… I knew that only one thing could make the universe right. A fun filled day centered on her and I only, and her first cooking lesson: Lasagna 101. It was fabulous. But it left me with a plethora of ground meats that were practically begging to be mixed and formed into a delicious loaf of awesomeness. Sautee onion and bell pepper until translucent. Allow mixture to cool slightly. In a medium bowl, mix with ground meats, seasonings, ricotta, eggs, bread crumbs, 1 CUP of the marinara, and 1 CUP of the Italian cheese until well incorporated. Pour mixture into 9x13x2 inch pan and press with fingers to form “loaf”. 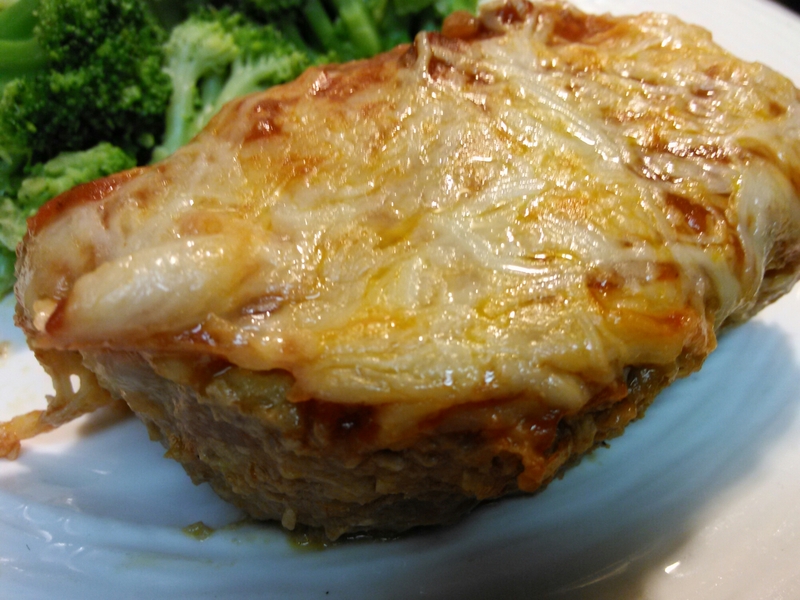 Cover with foil and bake n 350 for 30-45 minutes. When internal temp reaches 165, remove from oven, remove foil and drain any grease. Spoon enough marinara to cover top and sprinkle remaining cheese.Return to oven for about 2-5 minutes, until cheese is melted to a golden brown.